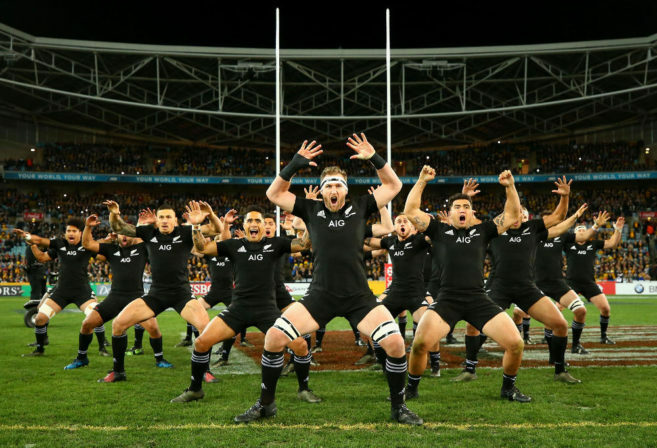 Ireland’s stirring anthem before a Test, sung by Protestants and Catholics, by Dubliners and Ulstermen, and players from all “the four proud provinces of Ireland”, has become – along with the haka of the All Blacks – an iconic rugby spectacle. Ireland’s rugby team is one of the few occasions when North and South, bitter enemies in the main since the days of Oliver Cromwell, come together into a single, purposeful Irish entity without friction or rancour. Given Ireland’s divisive history this is a remarkable achievement. It is, moreover, a very powerful engine driving whatever success Ireland has on rugby fields around the world. The whole Ireland rugby community is behind the Test side, even though elements of that community have been at loggerheads with each other over religious and political issues for centuries. You could sense the power of this inclusive engine on the field when Ireland recovered from a brilliant Wallabies opening onslaught, with Kurtley Beale scoring a spectacular try, to tough out an abrasive and technically superior 26–21 victory in the second Test. The series now goes into a deciding Test at Sydney on Saturday, a prospect that is exciting for supporters of both sides. I came across the story of Ireland’s inclusive rugby paradigm when I reported on the 1978 All Blacks tour of Britain and Ireland. The press facilities at the Lansdowne Road ground in Dublin, where we congregated before the Ireland-New Zealand Test on that tour were excellent. In a room near the press benches, the reporters were served hot soup and sandwiches. I was introduced to a veteran Irish journalist with the unlikely name of Ned van Esbeck. We talked, sparring a bit, about the likely outcome of the Test. Was it true, I asked him, that there was a unity in Irish rugby so that this was one endeavour where North and South came together as a single entity? The entity was over a 100 years old, Van Esbeck told me. Over this time there had never been any substantiated allegation of favouritism based on political belief. “The geographical split has never affected our rugby,” he said. 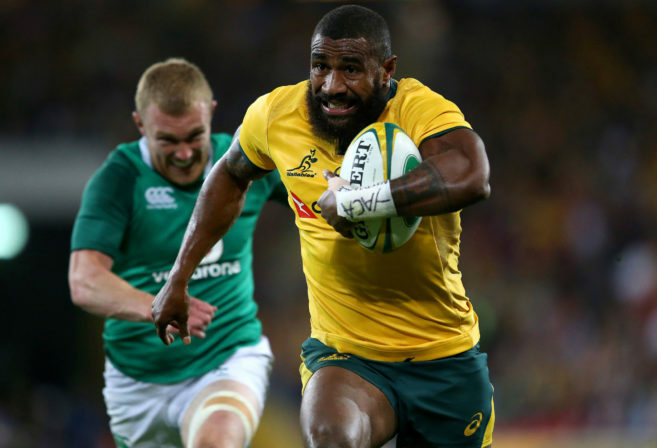 And we saw this unity, 36 years after Van Esbeck’s explanation, at Melbourne on Saturday night as Ireland came back and scored a try within a minute of Marika Koroibete receiving a yellow card and only five minutes after Beale’s freakish effort. 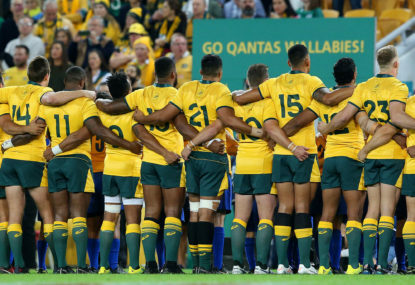 With this notion of inclusiveness being the glue of the magical property of team unity, we come now to Rugby Australia’s decision to sell, or – better put – sell-out the Wallabies brand to Qantas. The decision to create the Qantas Wallabies brand is crass commercialism, at its worst. The formal document is headed: “Qantas Wallabies/Media Release”. So Ireland is Ireland but the Wallabies are the Qantas Wallabies. As a matter of principle involving national rugby teams, the team’s brand should never be sold to a commercial entity. Readers of The Roar will perhaps confirm this, but I don’t know of any major rugby nation that has sold its brand to a commercial entity. Rugby Australia has recently signed a sponsorship deal with Coca-Cola Amatil. How would opponents of fizzy drinks on health grounds react if the Wallabies at a future date became the Coca-Cola Wallabies? There was an uproar of boos as the players emerged from the tunnel. The animosity to the sell-out was so intense that the New Zealand Rugby Union later cancelled the contract. Steinlager, though, has remained an important sponsor of New Zealand rugby. The current series against France is called the Steinlager series. An important objection to the Steinlager All Blacks was due to the connection with the beer industry. But there was also the powerful notion that the All Blacks brand belonged to the rugby community of New Zealand, the past, present and future generations of rugby people. The New Zealand rugby public decided that the All Blacks brand was not a commodity to be traded to whichever bidder paid the highest price. And this is essentially my objection to Rugby Australia selling the Wallabies brand to Qantas. The Wallabies are not the Qantas Wallabies any more than they could become the Coca-Cola Wallabies or, say, the Coal Industry Wallabies sometime in the future. They are the Wallabies, with all the historical connotations the name conjures up in Australia and around the world. The Wallabies represent the Australian rugby community from the first players on the hallowed grounds of Sydney University in 1864 through to the present, and on to players and lovers of the game in the decades to come. They do not represent Qantas, no matter how praiseworthy that company may be. The Wallabies brand should never have been sold to any company, because the brand must always belong to the Australian rugby community. The Australian rugby community, the grassroots, officials at the state levels, the rugby media and former Wallabies, should unite to put pressure on Rugby Australia to reclaim the Wallabies brand, the way the New Zealand public forced the NZRU to reclaim the All Blacks brand. When Australia lines up on Saturday night at Allianz Stadium for the deciding Test of the series against Ireland, then, we want our players “Together standing tall! /Shoulder to shoulder” representing us as the Wallabies, with all that implies, and not as the Qantas Wallabies.